Yang Tongyan passed away on November 7, 2017, while being treated for an aggressive form of brain cancer. The dissident writer, who had served 11 years of a 12-year prison sentence for “subversion of state power,” had been diagnosed with a brain tumor on 12 August. After learning of the diagnosis, his family members immediately applied for medical parole; according to sources close to him, Yang was granted parole on 16 August and was shortly transported to a specialized hospital where he underwent brain surgery. However, his family was informed that as a ‘criminal,’ he would not be able to travel abroad for medical care. Aside from a brief initial contact immediately after Yang’s death, his family has been largely unreachable. Yang Tongyan’s case is notably similar to that of Nobel Prize Laureate Liu Xiaobo, who passed away only four months prior. The two writers, both of whom had cancer, died after being released on medical parole when their illnesses had reached an advanced state. 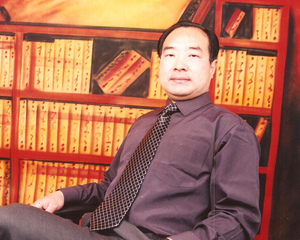 Yang Tongyan (pen name: Yang Tianshui) was a dissident writer and member of the Independent Chinese PEN Center (ICPC). He received a B.A. in History at Beijing Normal University in 1982 and has worked as a freelance writer, teacher, and office worker. He was known for his critical writings published on websites such as Boxun.com and EpochTimes.com. His online publications include poems, essays, novels, short stories, and memos, many of which were written while in prison. Yang spent a decade in prison from 1990 to 2000 on “counter-revolution” charges for his involvement in the 1989 pro-democracy protests. He was also held incommunicado from December 24, 2004, to January 25, 2005. Yang was the recipient of the 2008 PEN/Barbara Goldsmith Freedom to Write Award. Read an interview about the selection here. November 2017: Yang passes away in hospital on November 7, after his condition had worsened in mid-October. His family has been largely unreachable by friends and professional colleagues, who suspect that they have been urged not to speak about his case or death. Fellow activist Xu Wanping received a “patchy phone call” from Yang Tongyan’s sister following his death. Aside from this initial contact, no one has been able to reach any members of Yang Tongyan’s immediate family. August 2017: Yang Tongyan is released on medical parole after being diagnosed with a brain tumor. He is denied permission to travel abroad for medical treatment, despite appeals that he be allowed to do so. He is transferred to a specialized hospital in Shanghai, where he undergoes brain surgery, but is cut off from contact with friends and colleagues. 2010: Yang is hospitalized for at least 50 days in early 2010, with a fever and suffering from tuberculous, intestinal inflammation, and peritonitis. Though reports indicate that he has recovered from these conditions, Yang still suffers from diabetes and nephritis, as well as arthritis and high blood pressure. His application for medical parole was denied in 2010. May 2006: After a three-hour trial that is closed to the public, he is sentenced by the Zhenjiang Intermediate Court in eastern China’s Jiangsu province to 12 years’ imprisonment and four years’ deprivation of political rights. He is held in Nanjing Prison in Nanjing City, Jiangsu Province, and submitted a petition to the Supreme People’s Court to challenge the verdict. December 2005: Yang is detained without a warrant in Nanjing and held incommunicado at Dantu District Detention Centre in Zhenjiang, Jiangsu Province. His family is not notified of his arrest or whereabouts until January 27, 2006, when they receive formal notification dated January 20 from the Public Security Bureau of Zhenjiang City, east of Nanjing. In recent years, addressing the dire situation for free expression in China has been one of PEN America’s signature campaigns. With the world’s largest population, and with increased economic and political heft, China’s extensive censorship apparatus limits speech both within and outside its borders. Although new digital platforms have expanded the means of expression, they have also provided more opportunities for repression: in China, even a simple Tweet can land its author in jail. Since President Xi Jinping took office in early 2013, he has overseen an extensive crackdown on free speech, implementing additional laws and censorship controls on the Internet, media, and publishers. In addition, individual Chinese writers, journalists, and creative artists have been censored, harassed, imprisoned, and even disappeared after they speak out about sensitive topics such as the rights of ethnic and religious minorities, corruption, and the lack of democratic reform. Several dozens are currently behind bars because of their writings or creative expression. Read more about freedom of expression in China here.